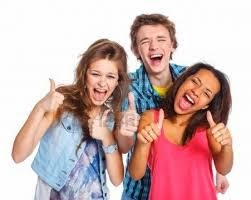 Our teen club has been specially designed for your teenagers between the ages of 13 and 19, giving them the same quality service at a more affordable price.If you're a teen, chances are pretty good that you have some acne. Almost 8 in 10 teens have acne, along with many adults. Scars from acne can seem like double punishment — first you had to deal with the pimples, now you have marks as a reminder. It helps to understand the different kinds of acne so you can figure out what to do about different types of scarring: Acne lesions or pimples happen when the hair follicles (or "pores") on the skin become plugged with oil and dead skin cells. A plugged follicle is the perfect place for bacteria to grow and create the red bumps and pus-filled red bumps known as pimples. Massages &body scrubs are a great introduction to spa-ing, relaxing you to the point where you forget you even have exams or anything to worry about at all. *We request that a parent or Guardian attends with all teens under 17years. Call +353 1 230 0244 or visit www.nualawoulfe.ie to book a treatment.